I love Autumn, the early morning light, the gold, reds and russets of the leaves as they change colour, bonfires and watching the birds devour berries on the trees as I sit and crochet. These simple pumpkins have been a favourite pattern for years, I often teach them as a class to introduce amigurumi or toy making. Don’t just stick to oranges, they look great in all colours. 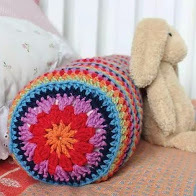 Use thicker yarn and bigger hooks to make them in a range of sizes. 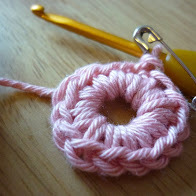 Make 4 chains and join with a slip stitch to make a ring. Rounds 6 – 10: 1 dc in each dc around. Thread tapestry needle with yarn tail and weave through remaining stitches, draw stitches tight to close hole. Take yarn up and over pumpkin and insert needle through hole at centre top, insert hook into base and back out through the top, pulling tightly together. Repeat to create 6 segments. Oversew several times at base to secure. With green yarn, make 5 ch. 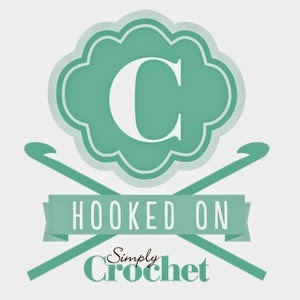 Row 1: 1 slip stitch (or dc) into second chain from hook, 1 slip stitch or dc into each ch to end. Fasten off yarn, leaving a long tail. Thread yarn tails onto needle and stitch to top of pumpkin.